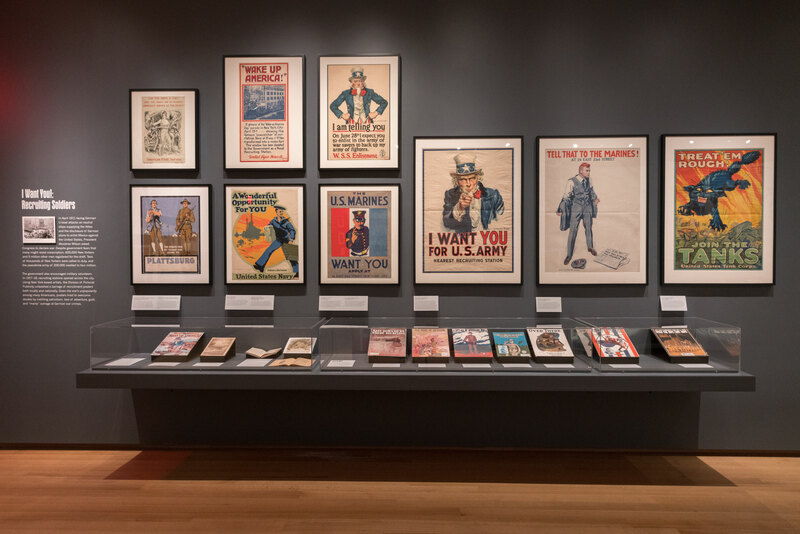 When the United States entered World War I in April 1917, New York City’s artists and illustrators were enlisted in the war effort. 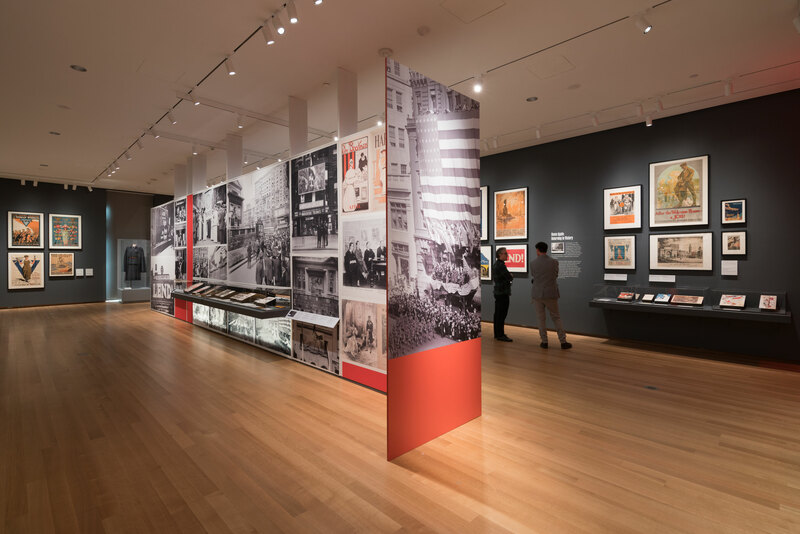 Many of them worked for the federal government’s new Division of Pictorial Publicity. 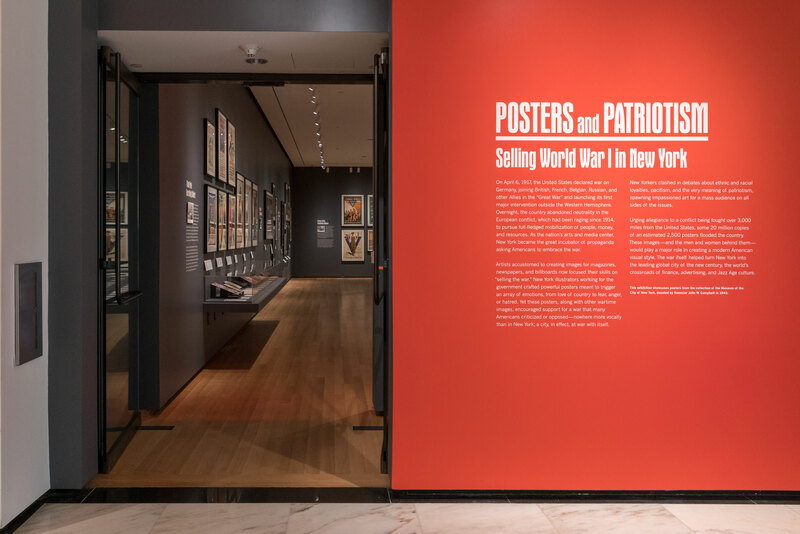 Posters and Patriotism: Selling World War I in New York examined the outpouring of posters, flyers, magazine art, sheet music covers, and other mass-produced images created by these New Yorkers to stir the American public to wartime loyalty, duty, and sacrifice. 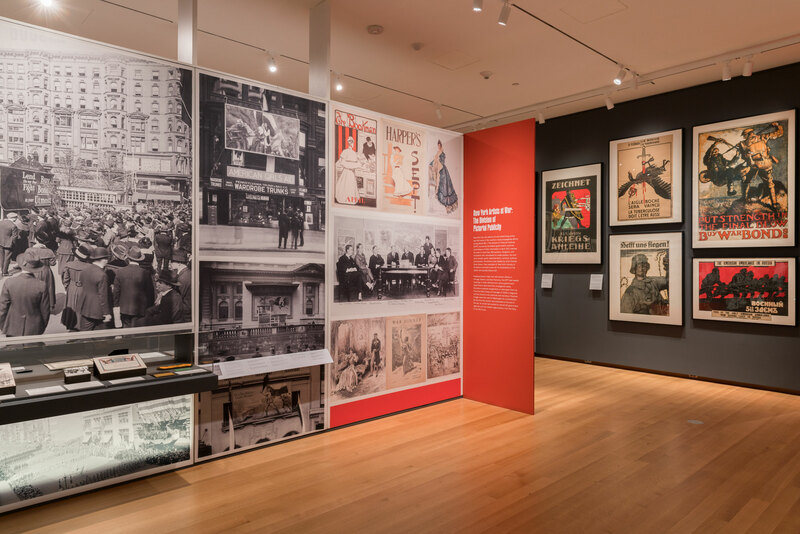 From the outbreak of the European conflict in 1914, however, New York had also been a city at war with itself—a place where debates about ethnic and racial loyalty, pacifism, the right to side with France, Belgium, and England or Germany, and the very meaning of patriotism spawned impassioned art for a mass audience. 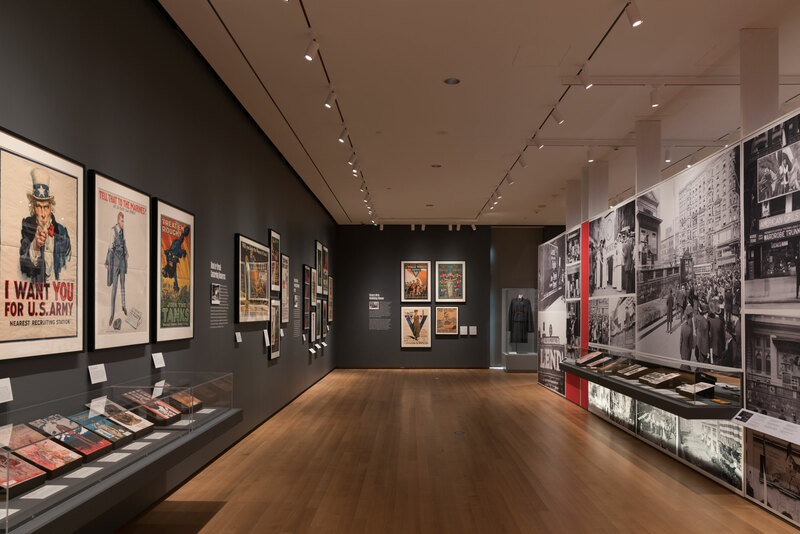 In rediscovering a wartime dialogue between images of conformity and dissent, Posters and Patriotism showcased over 60 examples from the World War I poster collection donated to the Museum by railroad executive and financier John W. Campbell (1880-1957) in 1943, most being exhibited for the first time, as well as the work of defiant artists in such colorful publications as The Masses, The Fatherland, and Mother Earth. 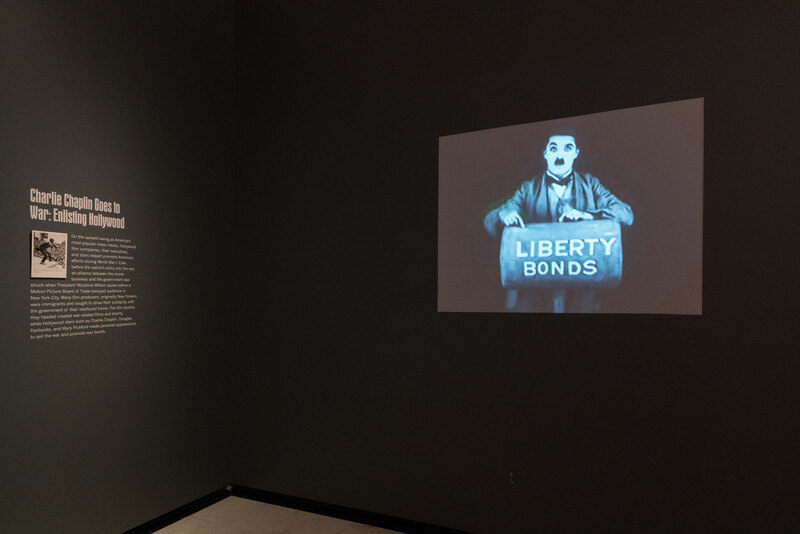 Mr. Albrecht collaborated with co-curator Steven H. Jaffe to develop the show’s themes, select all artifacts, write exhibition text, and work with the exhibition and graphic designer.